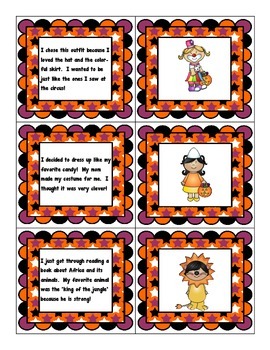 1 whole group reading/writing activity that helps students understand lead sentences and conclusion sentences. 1 sight word phrases center about monsters--Students match the phrase to the correct card. The sight word phrases consist of words from Dr. Frye's first 500 words. 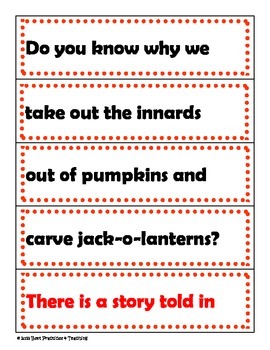 1 sight word phrase center about costumes--Students match the phrase to the correct card. 1 inference center that is a companion to the sigh word phrase center about costumes--Students match a card with a quote to the correct costume. The emphasis is on how the quotation marks and other punctuation are used. 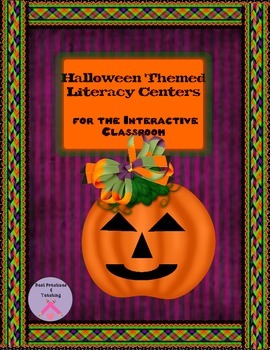 1 Halloween Hangman vocabulary center which features 'iPad graphics' which my students love! 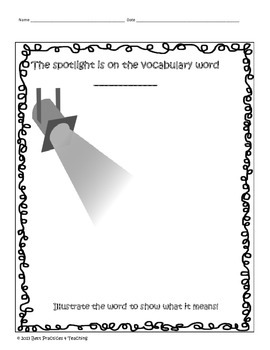 !--Students use the definition of a word as a hint to spell a vocabulary word.